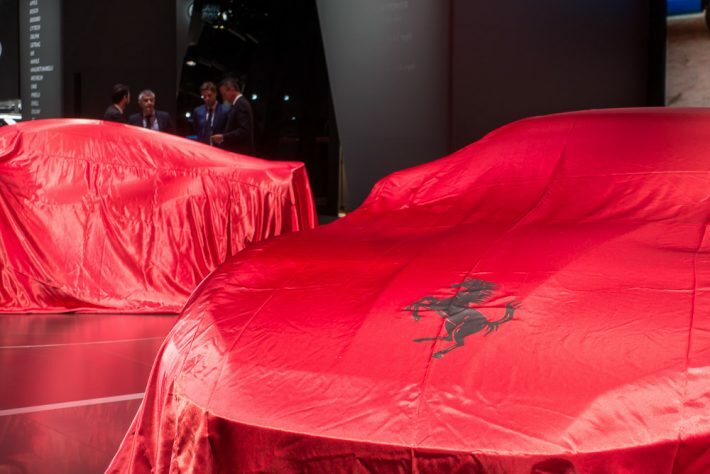 Ferrari have shown off their new GT car, the Portofino, at the IAA Motor Show in Frankfurt. 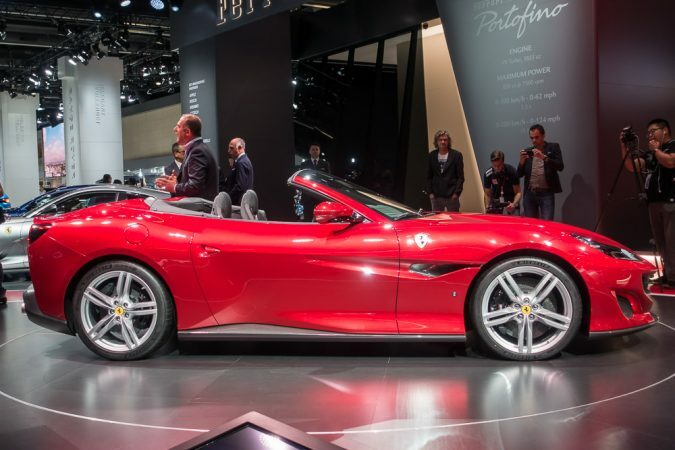 The new Ferrari Portofino is the replacement for the California, but still shares many of the latter’s characteristics. It’s a V8-engined, convertible hard-top sports car. The roof, however, has been much improved over the California; it now drops in just 14 seconds whilst driving at slow speeds. 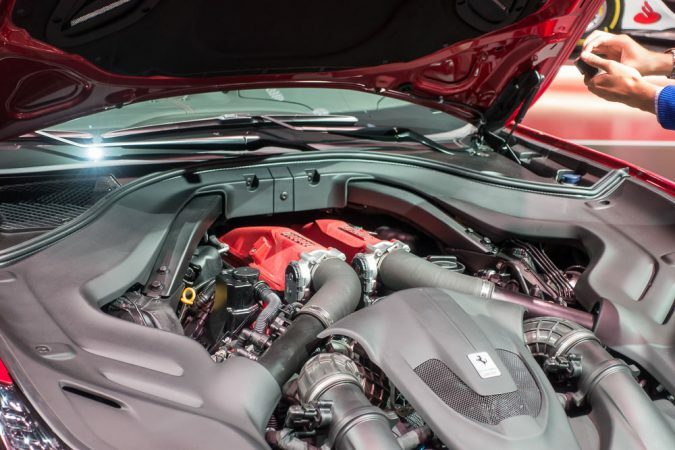 Ferrari says that the Portofino “represents the perfect combination of design, performance and technology.” The Portofino thus sees many improvements over the outgoing California T.
First of all, the Portofino is 100 kg lighter than the California, but still gets more power – an impressive 582 BHP and 760 Nm of torque from a 3.8 litre V8. Teamed with the F1 dual-clutch 7-speed gearbox, this gives the Ferrari Portofino a 0-62 time of just 3.5 seconds. That’s Porsche 911 worrying speed. The V8 that won engine of the year in 2016 and 2017 has undergone a lot of upgrades since its time in the California. 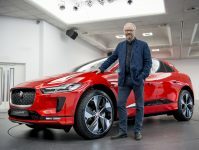 It now features high-resistance aluminium alloy pistons and con rods, along with an ion-sensing system. This has adaptive ignition and multi-spark functionality to ensure that combustion is optimised across the engine’s rev range. 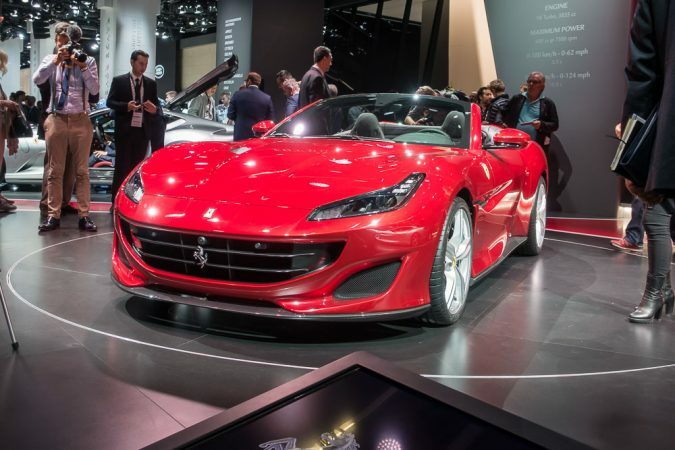 Ferrari boast that the new Portofino continues their zero turbo lag tradition, and has instantaneous throttle response – less than 1 second. The Ferrari Portofino is an aggressively flamboyant machine full of sweeping lines and sharp slashes. It bears more than a slight resemblance to the F12 super tourer. But of course, each of these lines and slashes have a reason, and that is aerodynamics. 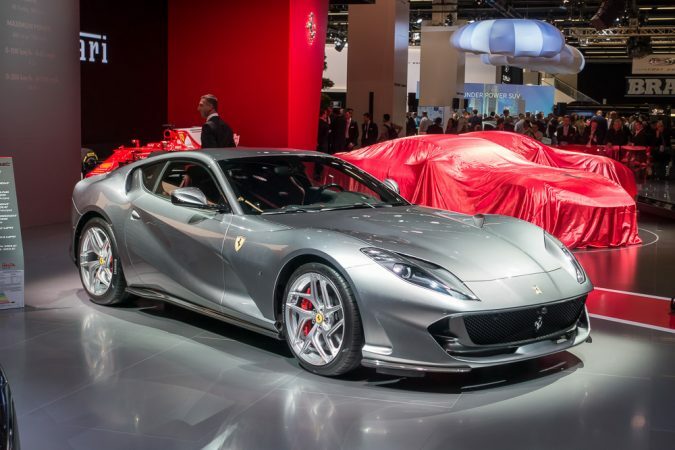 Ferrari focused on aerodynamic efficiency during the development of the Portofino with a particular emphasis on cutting down drag, which Ferrari saw as pivotal to keeping performance up and fuel consumption and emissions down. The unique headlights feature a half hidden vent which Ferrari call an ‘air curtain’. This pushes air into the wheels, forcing the escaping air down the side of the car to reduce drag created by the front wheels. The interior of the Ferrari Portofino features a number of upgrades over the previous car. It has improved rear seat space thanks to the innovative magnesium-framed front seats, with an ultra compact seat back. Ferrari say that the optional 18-way adjustable seats ensure that even longer journeys are exceptionally comfortable and relaxing. The dashboard of the Portofino (which Ferrari ridiculously calls the Human-Machine-Interface) features dual TFT displays around the rev counter. Something that hasn’t changed since the California is Ferrari’s odd decision to give the passenger their own display of the dials featuring the speedometer, RPM and gear selection. 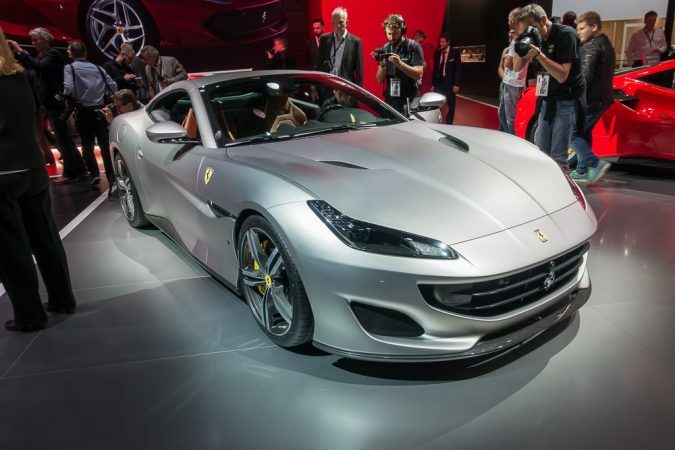 The Ferrari Portofino is a great improvement over the old California. The California tried to be great at everything, but was subpar at most things. The Portofino, on the other hand, is an exciting, fast GT convertible that finally might make up for the broken promises of the California. 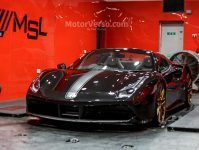 Ferrari’s dedication to the GT car is admirable. Both the 812 and the new Portofino might not make as many headlines as the 488 or the LaFerrari, but they certainly make up for it in being real performance drivers’ cars. Take a look here if you are interested in a Ferrari wallpaper.